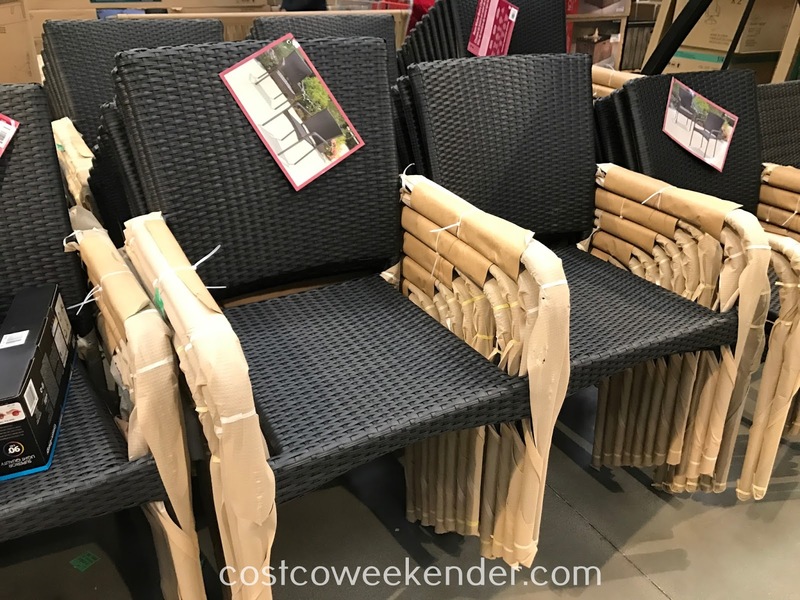 If you like throwing barbecues or outdoor parties, then you probably need more seating in your backyard or patio. 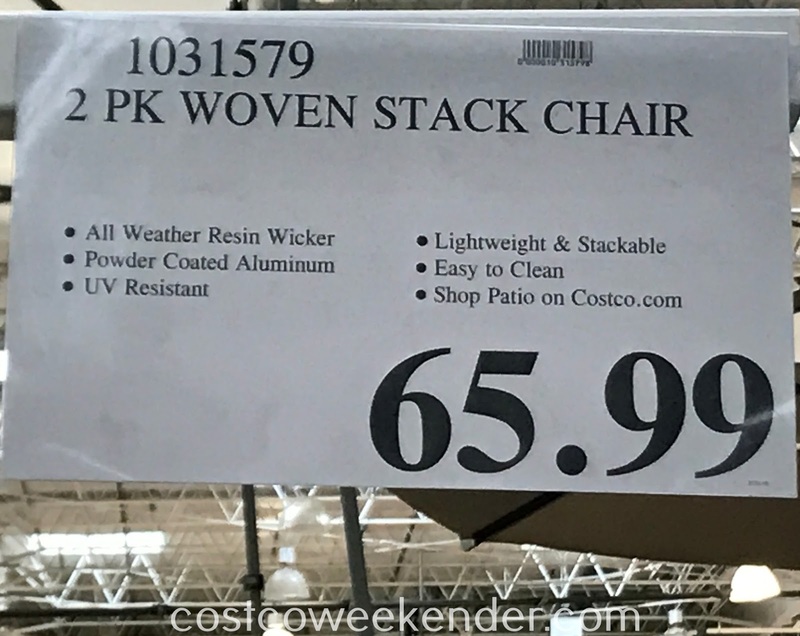 The Woven Resin Wicker Bistro Chairs at Costco is a very cost-effective way to get chairs for your guests. 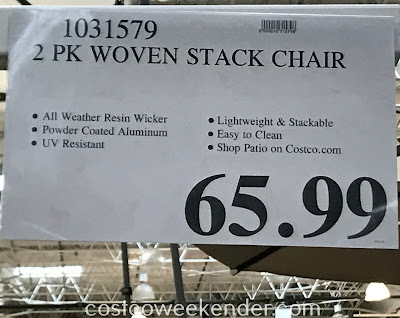 And since they are stackable, storing them away when not in use is a snap. 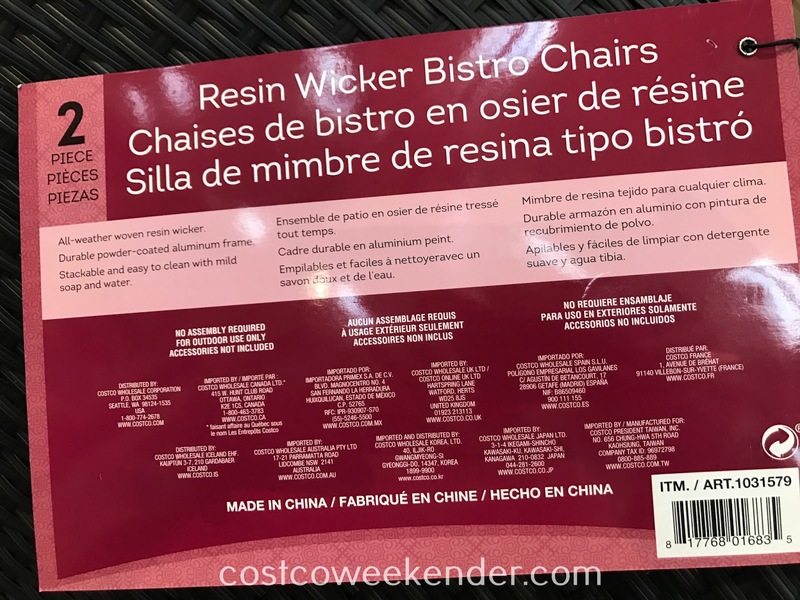 I like the resin wicker material for patio furniture since it is easy to maintain and to keep clean. I prefer this to the wrought iron design since wicker is lighter and just has an all-around better look for my backyard. 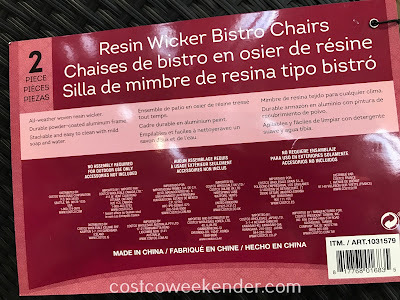 So get ready for the summer and buy some Resin Woven Wicker Bistro Chairs.